Paper weight and thickness explained! This entry was posted on February 27, 2018 by wowvow. 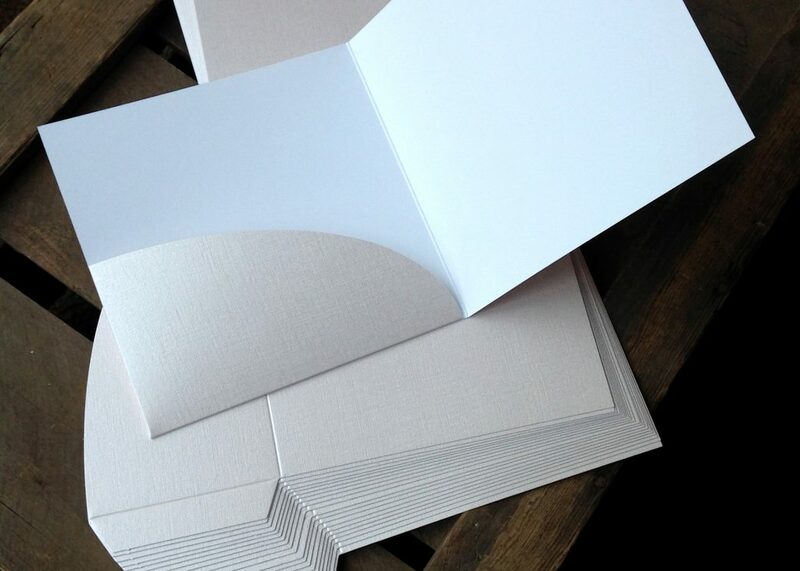 One of the most common questions we’re asked regarding wedding stationery card stock is ‘what’s the gsm' or 'what's the difference between gsm and mic'?’ It’s a common misconception that gsm is how ‘thick’ the stock feels and it’s an indication of quality, however, this is not the case. Think of cereal box board, it feels ‘thick’ but it’s unlikely that you’d want to use this for your wedding invitations! Paper making is a mechanical process and is classed as a heavy industry with suitably large buildings and enormous paper machines (think 100m long!) 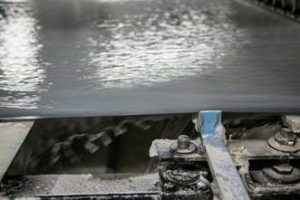 While paper making is a complex process in simple terms refined pulp is added to large amounts of water, mixed together and then sprayed onto a metal mesh to allow separation of the fibres and the water. This is then pressed to remove moisture and finally dried. 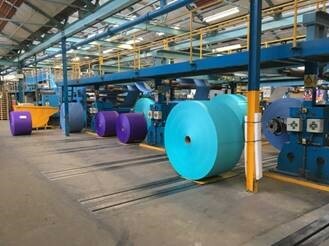 Once dry the paper is rolled into enormous rolls on the end of the machine weighing anything between 10 - 50 tonnes, these are then slit into smaller rolls or cut into sheets. 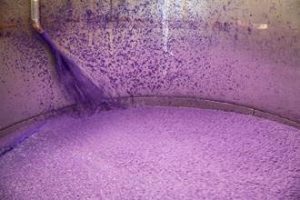 Paper pulp and water is mixed together in large vats. 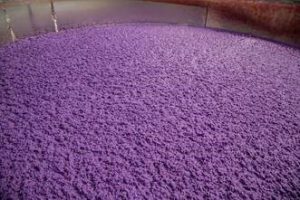 Pulp for paper making being coloured with pigment. 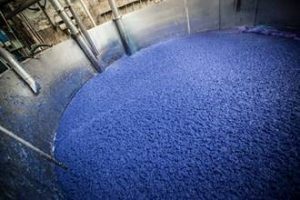 Pulp for paper making being coloured a beautiful intense blue. Checking for quality is all part of the paper making process. 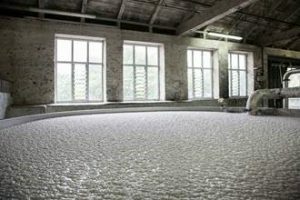 Vats of pulp and water are used in paper making. Paper making is a heavy industrial process. Multiple paper rolls being formed ready for sheeting. The enormous rolls of paper are formed onto the end of the machine. Images kindly supplied by James Cropper, Kendal, Cumbria. 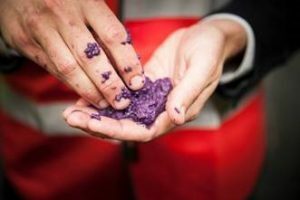 As with most products paper is milled to a standard within a manufacturing tolerance. These tolerances can result in variations of shade, thickness, weight and size. The most familiar standards for paper are ‘GSM’ and ‘MIC’. ‘GSM” is an acronym for ‘grams per square metre’, it’s calculated by measuring the physical weight of 1m x 1m of stock. As it would be impractical to physically weigh a sheet of stock this size the calculation is often made from a smaller sheet. It’s more often written as gsm or sometimes g/m2, g/m² or g2m. ‘MIC’ is an abbreviation of ‘microns’ or ‘micrometre’. 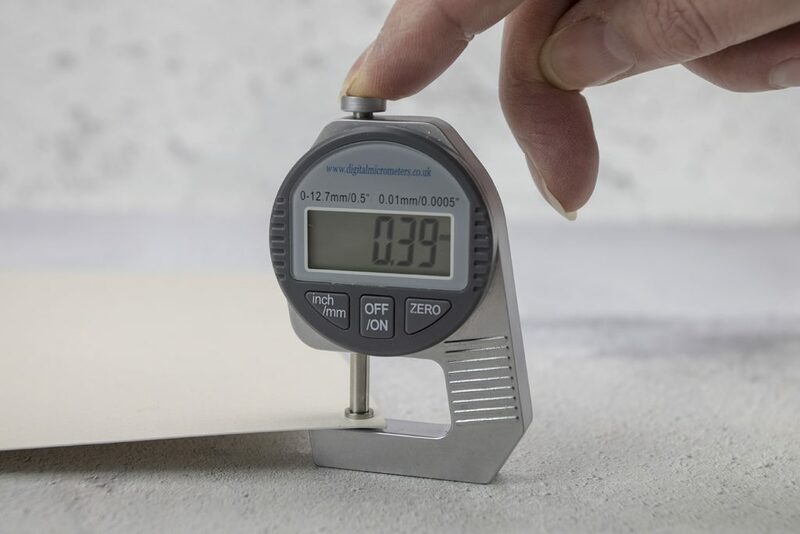 This is a measure of the physical thickness or ‘caliper’ of the stock and is measured using a micrometer. It’s often written as mics, mi or µm. Using a digital micrometer to measure the 'mic' or thickness of the stock. The ‘weight’ tolerance for paper making is plus or minus 5%. Your favourite paper is listed as 285 gsm and your ‘first batch’ is wonderful quality because it’s actually 299gsm (within tolerance) yet your ‘second batch’ is disappointing because it’s actually 270gsm (still within the tolerance). Similarly if the paper ‘mic’ standard is 0.8 µm then from making to making it could vary from 0.76 to 0.84 µm. 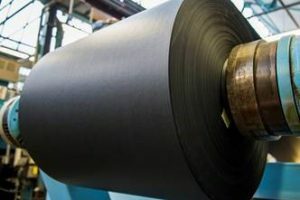 Not only this paper also has a ‘grain’ which is formed as the fibres align themselves in the direction of travel through the paper making machine on the wire former. Imagine a piece of balsa wood, it will fold/snap easily along the grain and not so easily against the grain, paper will behave in exactly the same way. So folding, creasing and scoring paper along the grain (or parallel to the grain) will break fewer fibres and therefore you will have a much ‘cleaner’ fold or score. As well as the making tolerances within manufacture the grain direction can differ from one A4 sheet to the next. This happens as a result of maximising the ‘number out’ of the milled sheet; some A4 sheets are cut parallel to the grain and some are cut against the grain. Scored and folded pocket cards ready for making wedding invitations. Handmade papers such as mulberry and lokta papers are traditionally made by hand using rag or bark to create the pulp which is poured onto fine mesh screens. These are then laid out in the sun to dry at which point the paper can be peeled off the screen. 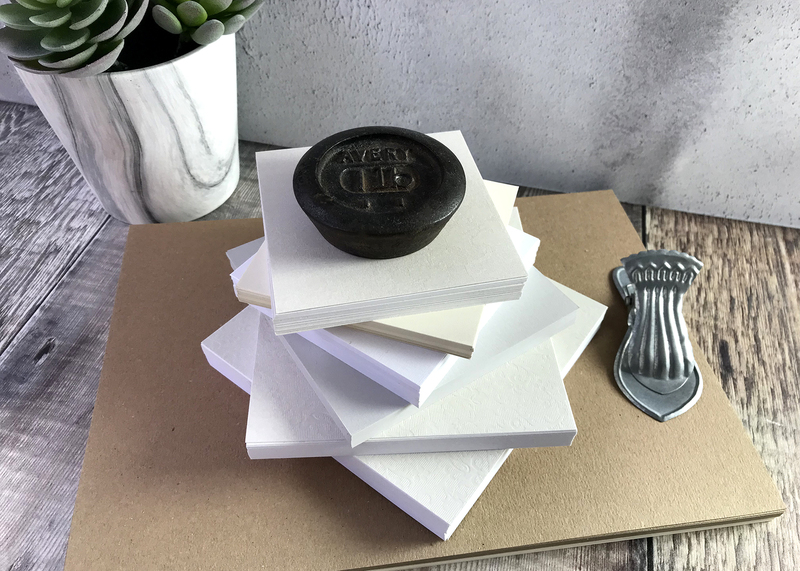 Such handmade papers can obviously vary in all parameters especially colour and thickness and imperfections or impurities are part of their charm. 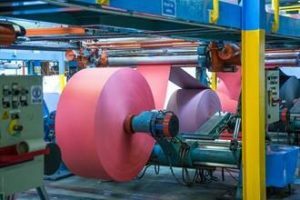 Paper is wonderful in all its forms and we hope that this brief explanation of its manufacture helps us all to manage our expectations when we see those slight variations.